The Boss FZ-5 fuzz pedal recreates three classic fuzz pedals with state of the art modelling technology to give you a huge range of vintage .. 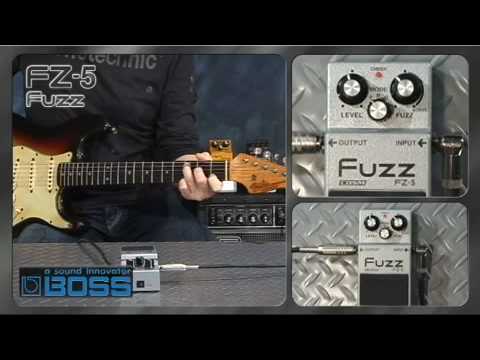 The Boss FZ-5 fuzz pedal recreates three classic fuzz pedals with state of the art modelling technology to give you a huge range of vintage fuzz tones. Using state of the art, proprietary Composite Object Sound Modelling (or COSM) technology, the Boss FZ-5 offers high quality digital emulations of 3 classic fuzz pedals from the 60s and 70s. The original Fuzz Face, the Maestro FZ-1A and the Roger Mayer Octavia return in all their glory giving you three fuzzy flavours to choose from, all packed into one compact pedal. 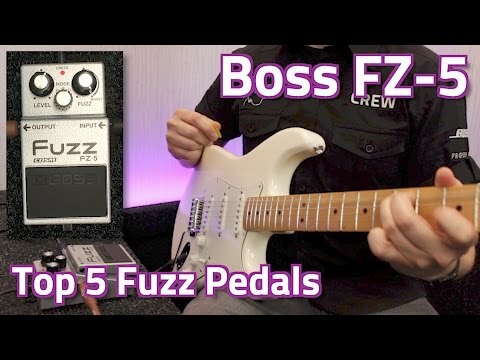 Boss have kept the controls on the Fuzz FZ-5 pedal nice and simple so you can you can quickly and easily dial in your favourite fuzz sounds. A mode knob allows you to select from F, M and O; that’s the Fuzz Face, the Maestro FZ-1A and the Roger Mayer Octavia respectfully. To the left of the controls is a LEVEL knob so you can set the overall volume level of the pedal – give it a huge boost or take it down low. Lastly, there’s a fuzz knob which you can turn up to increase the gain on your fuzz sound – really boosting it after the 12 O’clock point and taking it to a seriously fuzzy extreme. Thanks to the amazing COSM technology, Boss have managed to pack three of the best fuzz pedals ever made into one compact unit. Being a Boss pedal, the Boss FZ-5 Fuzz Pedal is also built like a tank, with its rugged metal chassis happily withstanding all the rigours of the road. 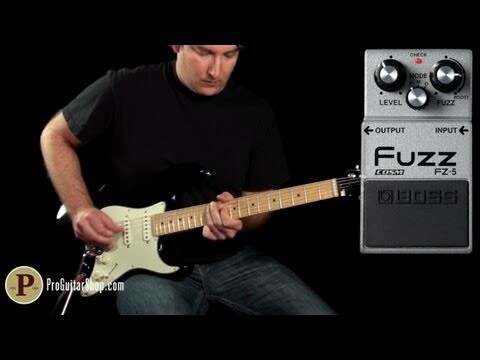 Buy the Boss FX-5 Fuzz Pedal today and get the sound of three of the best fuzz pedals ever made to expand your guitar sound.